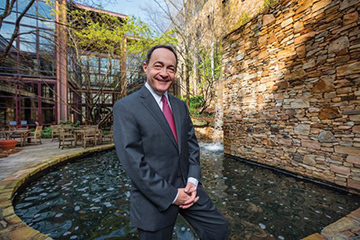 A major profile in the April issue of Business Alabama magazine features Samford University President Andrew Westmoreland and other key administrators discussing Samford’s recent growth and plans for the future. The story also highlights the university’s national reputation and its 175th anniversary. Westmoreland is featured on the magazine’s cover.